If you are coming from Antwerp, Gent, Hasselt, Leuven or Liege, take the exit for A201 on the Brussels North Ring R0-E40. Then take the A201 for 200-meter. Follow Diegem-Industrie for 240 meters and turn left at the lights onto the J.F. Kennedylaan (underneath the A201 that you were on seconds ago). 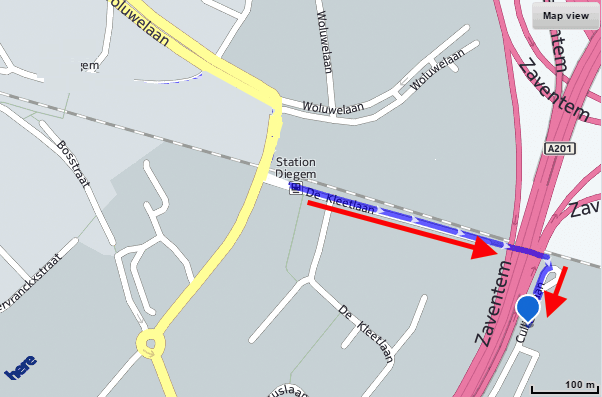 Then follow the Grensstraat for 35 meters (!) and turn left onto the Culliganlaan. Here you will find Van der Valk Hotel Brussels Airport at the end of this road. 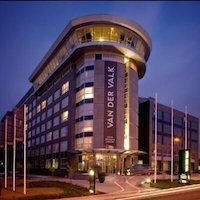 The Van der Valk Hotel Brussels Airport hotel has a paid parking, where you can safely park your car. The costs associated will be covered by I.T. Works. Take a ticket at the entrance barrier, which is on the right side of the hotel. There is an underground parking, and the access door opens when you approach it. There is also some parking behind the hotel on the ground floor, as well as 8 Tesla Superchargers (max. 40 minutes). The entrance ticket has to be validated at the hotel reception. If these parkings are not sufficient, you can park your car along the road. If you come by train, you can walk 1 kilometer (15 minutes) along the railway and under the A201 to the hotel.